If you’ve recently experienced a stroke, you’re probably eager to get the full use of your hands back. Regularly practicing hand strengthening exercises at home is a great way to supplement the work you’re doing with your physical therapist and can help enhance your recovery. There are lots of options out there when it comes to hand exercise equipment for stroke patients. Some of the most popular pieces of equipment include therapy putty, hand therapy balls, and hand stretching tools. Listed below are five simple exercises that you can do at home, with or without equipment, to improve your hand strength and fasttrack the recovery process. Hand stretches are one of the best things you can do after a stroke to regain mobility and retrain your brain. Researchers have found repetitive movements to be essential to successful rehabilitation. Hand stretches also don’t require any special equipment, so you can practice them anywhere, anytime. Place your forearm on a table and let your hand hang off the side, palm facing down. Slowly bend your hand at the wrist to move it up and down. Try to complete 30 repetitions. Then, repeat the exercise with your palm facing up. If it was easy for you to do 30 repetitions, add more. Repetition is key when it comes to stroke recovery, so the more you can consistently, the better off you’ll be. Hold your palm open with your fingers spread. Move your thumb across your palm to the pinky side of your hand. Essentially, you’re practicing holding up the number 5, then switching to holding up the number 4. Repeat on the other hand after completing your repetitions. When you’re comfortable with those hand stretches, you can move on to the slightly more advanced rotation and shift exercises. To practice rotation movements, grab a pen or pencil and work on twirling it around your middle finger. Use your thumb, index, and ring finger to help you. To practice shifting, hold the pen like you would if you were writing (between the thumb, index finger, and middle finger. Then, inch your fingers up along the pen until you’re holding on to the end of it. Once you’ve reached the end, shift it back to the starting position so that you’re holding the tip again. 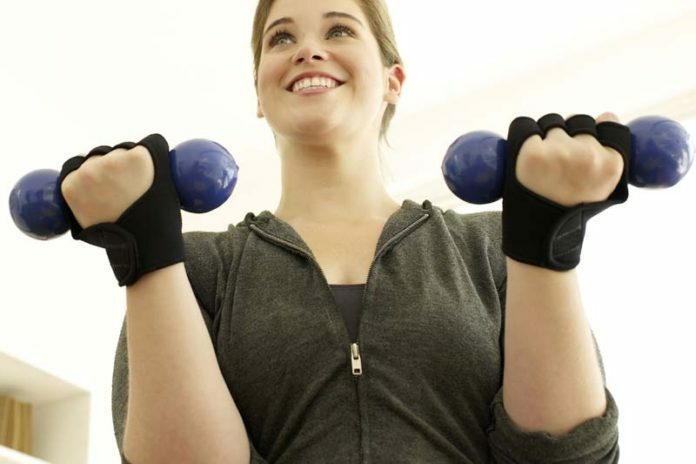 If you feel ready to move on and start incorporating hand exercise equipment, one of the most affordable pieces out there is the hand therapy ball. These balls come in a variety of thicknesses, so you can work with them for a long time and continue to challenge yourself. These are great exercises to do any time of day. You can even work on them while watching your favorite TV shows! Another great tool for improving strength and mobility in your hands is therapy putty. Like therapy balls, putty comes in a variety of thicknesses, so you can add additional resistance as your hands get stronger. Just like the therapy ball exercises discussed above, you can do these exercises anytime, day or night. It’s easy to turn daily activities and games into hand exercises as well. Tasks like stacking coins and pinching clothespins are very beneficial in building your hand strength, and you don’t need much space or any fancy equipment to do them. Give these activities a try with a friend or family member. You’ll get to socialize and exercise at the same time! All of these exercises are a great way to enhance your recovery and regain full use of your hands after a stroke. Incorporate them into your daily routine, along with any other exercises your physical therapist has assigned to you, and you’ll be sure to see improvements!